Write with us Jazz-History! For the last ten years, Tuesdays are not meant to be spent sitting at home. In Berlin Jazztime, Tuesdays are for amazing jazz and a chance to meet a whole lot of new people from all over the world. More than ten years later New Standard Jazz Session has established itself in Berlin’s diverse music scene. Countless blue notes and red kisses have been handed out in the last ten years. Now it`s time for an anniversary book!! 10 years, more than 500 New Standard Jazz Sessions are played, supported by magnificent guest musicians, celebrating guests and incredible photo- moments - WOW !!! New Standard Jazz Session began in 2005 as an insider tip in a cozy back courtyard in the middle of Friedrichshain. More than ten years later, the music is still playing but this time in Edelweiss, a venue at Görlitzer Park in Kreuzberg. New Standard Jazz Session has established itself in Berlin’s diverse music scene and has gone through a number of transformations but remains a cherished constant in the lives of many Berliners, tourist and "Wahl-Berliners". Documented and captured in a photo book with the best of photos by a douzend of photographers, edited them with a myriad of highlights including, for example, Roy Hargrove’s visit or that of many other international artists. We tell some anecdotes and have little stories behind the legendary Tuesday night. What were the best moments? Last but not least, what makes this Tuesday for our guests to experience? We celebrate Jazz every week! 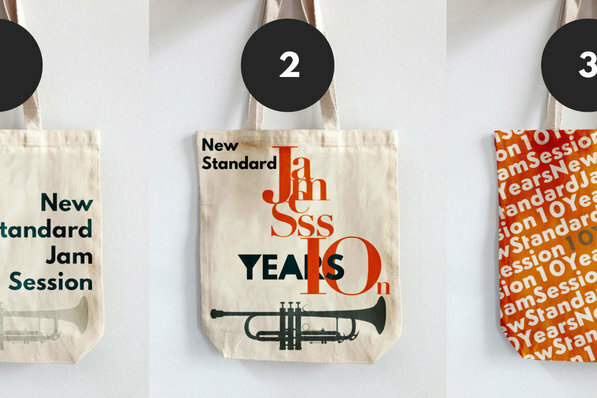 We want to organize this colourful musical celebration for the 10-Year New Standard Jazz Session for you! We really need your help when it comes to printing the book and with sales and marketing. And it will be wonderful to have a great birthday party and book release with you! We really need your help when it comes to printing the book and with sales and marketing. Your support guarantees a 100 percent affordable basic price. It financed the entire work processes and gives us the chance to realize this book with all the attention to detail! Write with us living Jazz- history! The book is comprehensive, planned are currently just 150 pages. For design and layout we want to realize a high-quality implementation. This includes a hardcover finish as well as high-quality printing on Fine-Art paper, the binding and layout, photographic research, rights, bilingual editorial support. When we override the funding goal, then we use all supports from you to organize a great unforgetable birthday party and book presentation. A book to oder or to pic up from the Session, a piece of memories of a beautiful tuesday jazz night. 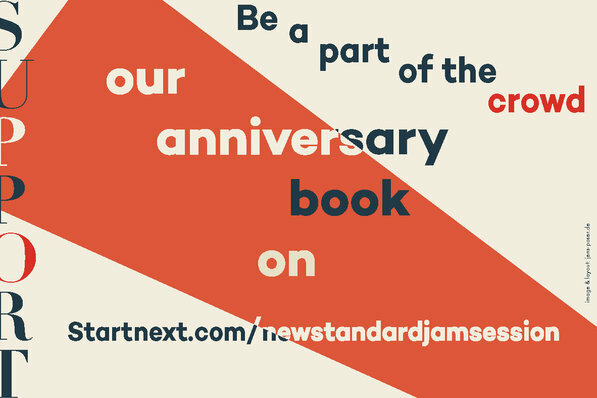 We want to tribute the Berlin Jazz Culture with the 1st book from the New Standard Jam Session! You can hold the living Session history in your own hands - so write it with us!Tell us your personal Session story, send us photos & support an amazing book! We put the best of in that book! A heartbeat book project from Florent & Mia with all the amazing musicians we met in Berlin - our deeply lovestory for music, for Jazz & all the people! Du bekommst einen Eintritt zur Jamsession umsonst und unseren wunderbaren Dank, dass du uns unterstützt. Bitte melde dich für den Tag des freien Eintrittes bei uns per mail, damit wir dich auf die Gästeliste setzen können. Du erhältst von uns einen exklusiv von uns erstellten Jutebeutel, worin du all deine Telefonnummern und Erinnerungen von unserer Jam Session mit nach Hause nehmen kannst und ein Dankeschön von uns. Du erhältst von uns eine Best of CD mit den schönsten Aufnahmen live von der Jam Session und ein wunderbares Dankeschön von uns. Beim deinem nächsten Besuch der New Standard Jam Session bekommst du einen persönlichen überschwänglichen musikalischen Gruß von unseren Musikern. Du erhältst von uns das fertige Jubiläumsbuch handsigniert und mit persönlicher Widmung der Opener Band und die New Standard Jam Session CD. Du erhältst von uns das handsignierte und mit persönlicher Widmung versehene Jubiläumsbuch, dazu eine CD mit dem Best of der New Standard Jam Session und 2x freien Eintritt zu unserer Veranstaltung. Du erhältst von uns einen exklusiven Platz zum Dinner der Geburtstagsparty (sponsored) der New Standard Jam Session, zu der wir auch das Buch der Öffentlichkeit präsentieren und natürlich auch unser Jubiläumsbuch. Du bekommst eine einstündige "private lesson" von einem unserer Bandmitglieder der New Standard Jam Session (Lionel, Daryl oder Rico). Du wirst namentlich als Sponsor im Buch genannt und mit Dank überhäuft. Ein Belegexemplar ist dir natürlich sicher.